Whilst there are many offshore wind farms currently in place, their construction is limited by the depth of the water in which they stand. But now, advances in the technology have meant that for the first time, a full-scale floating wind farm is being built off the coast of Scotland. The windfarm, known as Hywind, is being installed off the north-east of Peterhead, Aberdeenshhire. As reported by BBC News, the manufacturers Statoil suggest that the output from Hywind is projected to supply power to around 20,000 households. Of the development, project director of Hywind, Leif Delp said: "This is a tech development project to ensure it's working in open sea conditions. 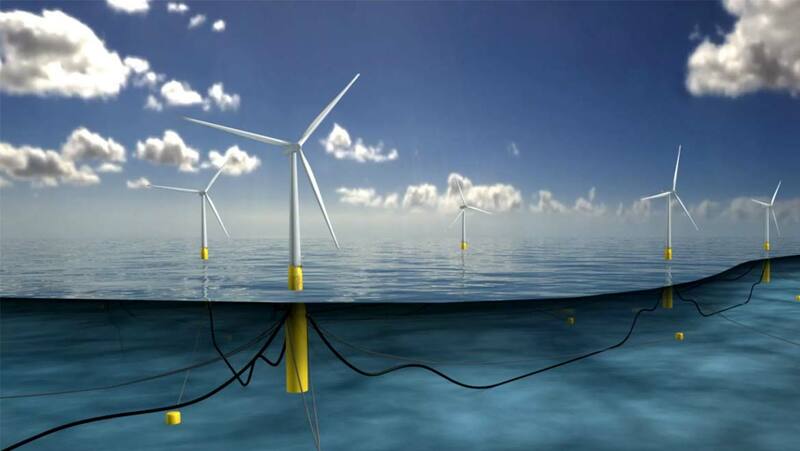 It's a game-changer for floating wind power and we are sure it will help bring costs down." Currently, the turbines are very costly to make, but as projects like this grow in popularity their cost will be reduced dramatically. We’ve already seen this process for wind turbines in current production, so as more floating turbines are made, the cost should decrease. By 2030, Statoil anticipate that the cost of floating wind farms will be the same as current offshore windfarms. You might be wondering exactly how the turbines not only stay afloat, but stay upright in the rough seas inevitably experienced offshore. Each turbine is connected to a tube, 78 metres long, which extend down into the sea. The bottom of this tube is filled with iron ore to both weigh the turbine down and to keep it upright. The turbines are then tethered to the seafloor using three thick mooring lines. The Guardian reports that two turbines have already been towed into position, 15 miles (25km) off the coast, using a tugboat. A further five turbines are moored in a Norwegian fjord awaiting installation.